What he said was a bad sign. “My people” in Afghanistan means one’s tribe. Very few outside of Kabul thought of themselves as citizens of the country—as Afghans. There is a lot to like in journalist Kevin Sites’s latest report from the front, Swimming with Warlords. Sites takes us from point to point on his journey through geography and history, offering a look at the Afghanistan of 2001 as compared to the Afghanistan of late 2013. He spends considerable ink on warlords, but not enough, IMHO, to justify the title of the book. And this is just as well, because the other elements he finds to report on are even more interesting. He notes the extant miseries, for sure, but also finds some flowers blooming in the rubble, offering the fragrance of hope. He looks at the condition of women, notes gains and losses, bright spots and expectations maybe not so bright as we might hope. He looks at what is likely to happen when the US leaves. One major element here is the conflict between former allies within Afghanistan. Of course, he has been back to Afghanistan several times in between, but it is the bookend experience on which he focuses here. What has changed between the time when American forces attacked in the wake of 9/11, and today, as US troops prepare to depart in 2014? 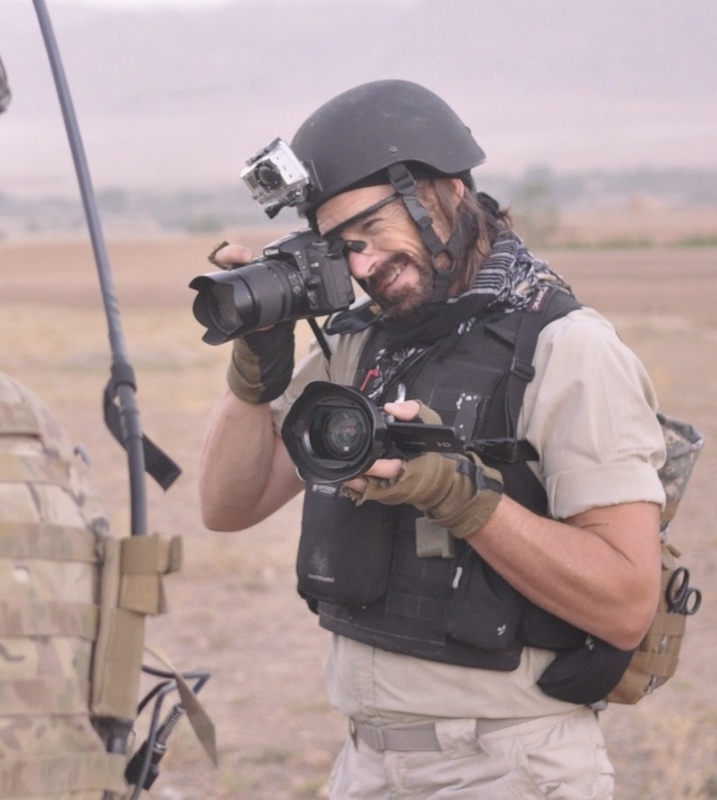 Sites has certainly seen a lot during his many years in the field, across the war-torn planet, working for major news organizations like ABC, NBC and CNN, and newer entries like Yahoo! News and Vice. He has written two books, In the Hot Zone: One Man, One Year, Twenty Wars (2007) and Things They Cannot Say (2012). His bona fides are impeccable. He even teaches journalism these days in theUniversity of Hong Kong journalism and media program. There are plenty of villains in Sites’s depiction of what has become a more-or-less permanent war zone, but there are a surprising number of heroes as well, some ambiguously so, others not. The place we know today as Afghanistan, which has been called “the graveyard of empires,” has endured seemingly constant invasions and internal conflict, from the days of Alexander the Great to the present. It seems like the entire place is a huge stadium in which Premier league teams have battled it out among themselves and with the locals, with some notable modern matches having been during the Great Game days of the British empire, the Soviet invasion of the 1970s and 1980s during the Cold War, and most recently, the Western invasion to oust Osama bin Terrorist and his Taliban hosts after 9/11. And it is a favored pitch in which Pakistan does its best to make trouble for India. “The Taliban is really from Pakistan; they came here to destroy our country. That is clear to everyone,” said Jilani [a former Taliban member]. “In the beginning, I thought it was jihad against international troops, but I found out we were fighting for Pakistani interests—we were getting orders from Pakistan. Most of the leaders are not religious; they want to come to Afghanistan and tax the locals during the time of the harvest and take the money back to Pakistan. There is no jihad.” Jilani said. I imagine banners being hung from the bullet-pocked remnants of rafters noting local championships triumphs. No 90 minute clock here, no four quarters. Like baseball, perhaps, the game continues until one team wins or one team tires of playing and leaves. The locals have nowhere to go, and all their skin is in the game. There is a very strong home-field advantage amid the crags, valleys and caves of this rugged land, but there is plenty of disagreement about where home actually begins and ends. The US entered the playing field in the 1980s by providing arms and assistance to locals and some foreigners in Afghanistan in an attempt to make life miserable for the Soviets. In a classic example of the Pyrrhic Victory, the removal of the Soviets led to a continuation of the pre-existing tribal warfare, this time with more and better weapons, the ultimate rise of the Taliban to power and their hosting of you-know-who. I wonder if Charlie Wilson would have voted for the $4 to $6 trillion cost of this seemingly endless engagement. In retracing his earlier path, Sites notes bridges gone, landscape devastated, military remnants littering the paths that pass for roads, the many minefields, both literal and political. One of the permanent features in a place where landscape defines effective limits is the presence of warlords. Feudalism lives in Afghanistan, where inter-ethnic conflict is merely a superset of conflicts within each ethnic group. If there was ever a concept of loving thy neighbor as yourself, it is unlikely to have extended much beyond the borders of the fief in which one lives. 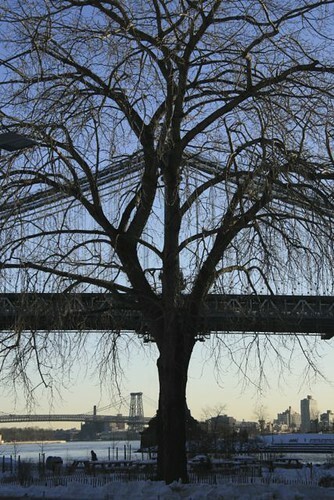 Mistrust, born of centuries of conflict, has deep roots here. Every action taken on a national level is seen as somehow ethnically drive, whether or not it actually is. Cooperation is minimal, fear is ever-present, and allegiances are alarmingly fluid. Sites looks in on some warlords, living and dead, and some others who function as warlords in fact if not in name. The camp of martyred Tajik leader Ahmad Shah Massoud is now a shrine, and Massoud’s lieutenants have moved on to diverse and often dark occupations. He meets with police chiefs, who point out that they are powerless to enforce the laws as long as coping with the Taliban continues. And it is the police forces that suffer the brunt of the casualties in the fight. However not all warlords are alike. He spends some time with one who seemed to be doing pretty well in taking care of his people, improving their lives with ingenuity and managerial efficiency. There are some darkly humorous moments, as when Sites recalls a 2001 lodging that, unbeknownst, included an unexploded 500 lb US bomb on the premises, fins up. Check please. There are moving moments, including a weep-worthy tale of an Afghani father who had lost his daughter to a slightly off-target US incoming, yet betrayed no bitterness. There are uplifting moments, when Sites talks with a woman who had started a radio station in order to get news and information to Afghani women, many of whom remain under lifelong virtual house-arrest for the crime of being female. Or in learning about Rahmaw Omarzad, an artist who returned to Afghanistan after the Taliban fell and established The Centre for Contemporary Art in Kabul. There are delightful moments, as when we learn that an Aussie’s contribution of skateboards had grown into an island of hope in the form of an actual institution called Skateistan that includes instruction on far more than keeping one’s balance on wheels. There are disappointing moments, when we see that many of those who had been educated, and were working on internationally funded development projects will be unemployed and maybe unemployable after the US leaves. Or in learning that Marza, the famed lion of the Kabul zoo, might have been somewhat less magnificent than reputed. There are bizarre moments, such as learning that a fortress wall built 1500 years ago, the Bala Hisar, which legend holds has incorporated the bones of workers who died in its construction, might very well include some of the special extra filling. And there are demoralizing moments, as when Sites describes an orphanage that would have been very much at home in the London of Charles Dickens. His report on drug addiction will strike a dark chord as well. The condition of women’s rights in Afghanistan comes in for considerable attention, as he talks with women about their lives under the Taliban and after their ouster. There is a segment on an American woman, Kimberley Motley , who had started a legal practice in Afghanistan, and another on a woman the Taliban had kicked out of dental school, who had resumed her training and established a national Dental association. It will come as no shock that there remains in Afghanistan a practice of buying and selling wives. And a related tale tells of young boys, bacha bazi, who are treated as sexual pets by the wealthy, a substitute for the females who are kept under wraps. The book seems a compendium of articles about Afghanistan crammed into a forced structure. But that is not really a problem here, as the information you gain far outweighs any feeling of the structure of the whole being not quite as advertised. Yes, there is a look at then and now, but the strength of the book lies in the collection of individual reports. There are at least two elements in a book of this sort, the information to be gleaned about the presenting subject, and some insight into the teller of the tale. In this case, the subject is what has changed between 2001 when the Western attack on Afghanistan began following the events of 9/11 in the USA, and the present of the book, the year or so before US troops were scheduled to depart, whether completely or mostly. The other element is the author, him/herself. When you go on a journey, when you will be spending some time with your guide, you would like to know something about him. Sites does offer a few nuggets, and one that is particularly unflattering, but overall the sense I got was that it was mostly name, rank and serial number. While his recollected war stories are indeed interesting, there seems a paucity of info/insight about him. That is an area in which Swimming with Warlords only treads water. At end, we do not really know much more about Kevin Sites than we did before turning to page 1. I expect this is a lot about reportorial discipline, keeping one’s focus on the news and not the reporter, which is certainly a reasonable approach. But in this context, a book, a memoir of sorts, there is a need to be a bit more subcutaneous if an author wants to engender any feeling of camaraderie with his readers. It may be that in his previous books, The Things They Cannot Say and In the Hot Zone there is more of that. Don’t know, have not read those. But there is not nearly enough about KS in this one. I found myself wondering how he got into journalism, how from journalism he got into in-field war reporting. Is his work about adrenalin or something else? What are his values, his ideals? What does he hope to accomplish? What does he do when he is not ducking ordnance in war zones, where and why? Does he have family who worry about him when he is away? You know, stuff. This is not so much a classical road to self-discovery. Sites had already learned a lot about himself and his profession in the years between visits to Afghanistan. This is more like a look at the same eye chart with the optometrist clicking between the younger and more mature lenses. Is it clearer this way, or this way? The title of the book seems ill chosen. There is indeed one scene in which KS goes for a literal swim with an actual warlord, but the title would make one suspect that the entirety of the volume consists of KS visiting with warlords, and that is not the case. Yes, KS does meet up with a few of these guys, but there is a lot more going on here, and it is unfortunate to have our attention focused on the narrower topic. A better title would have let readers know that he is writing a comparison of then and now. There is an ironic title for one of the chapters in the book, regarding parachute journalism, Yesterday, Today and Tomorrow, which would have made, IMHO, a better, certainly a more descriptive title than the one that was chosen. Sites may well have been swimming with bearded sharks, but the macho-ness of it adds little in the title selection. I would not call this a gripe, but the book could use an acronym list, which should include SNAFU and FUBAR among its entries. In fact, the place might as well be name FUBARistan for all the horror that has gone on there over the centuries. An index, a glossary, and a map would have been helpful. If Sites is retracing a path, it would be nice to be able to follow along. There are plenty of books about Afghanistan out there, (there is a list in the Extra Stuff section below), but Sites’ work has the benefit of freshness. He was there not long ago, at least in book, if not live TV time, and there is an immediacy to his reporting that draws one in, and makes one wonder what might be happening right now. He reports on interesting elements of the current Afghan reality, and finds some informed opinions about what lies ahead. I would not call this a great book, but it is certainly interesting, engaging, and informative. Definitely worth pulling on a suit and going in for a dip, whether with a warlord, shark, or someone a bit less threatening.